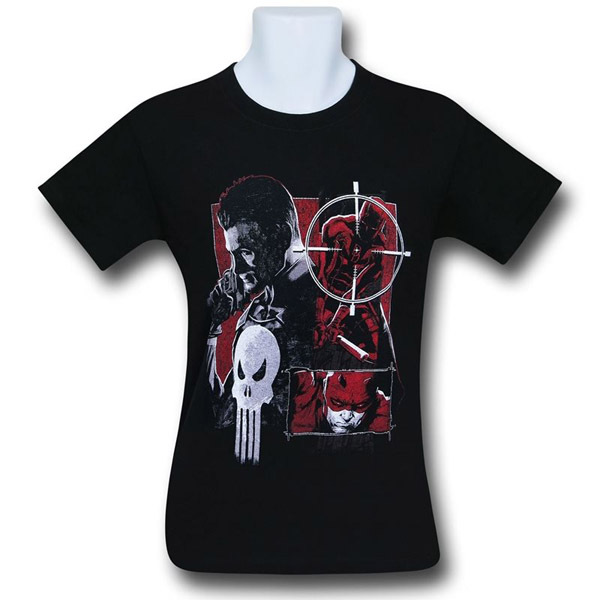 One vigilante takes aim at another on the Daredevil vs Punisher Square Off Men’s T-Shirt. 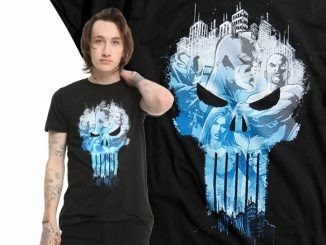 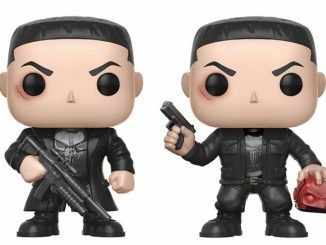 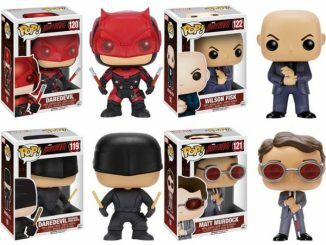 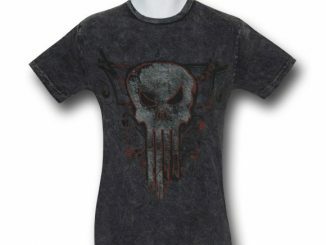 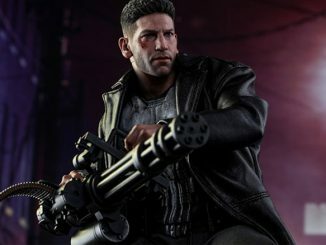 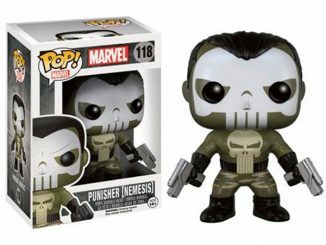 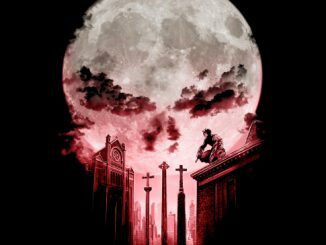 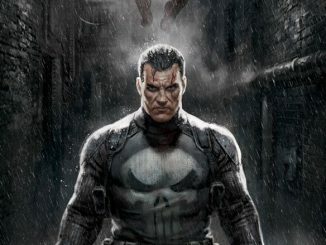 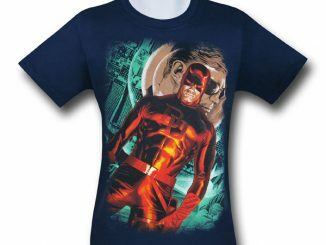 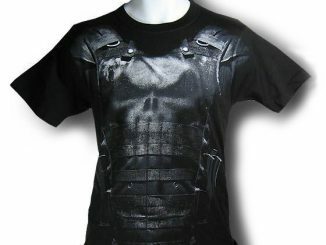 Season 2 of Netflix’s Daredevil had the Devil of Hell’s Kitchen meet Frank Castle, the man who would become the Punisher, and now that epic confrontation is captured on this 100% cotton tee that features Castle literally setting his sights on Daredevil. 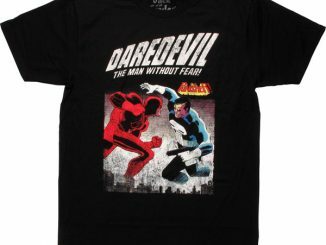 The Daredevil vs Punisher Square Off Men’s T-Shirt is available for $21.99 – $24.99 at SuperHeroStuff.com.